Little is known about the Nintendo NX, the company's mysterious new console. However, during a recent investors Q&A, Nintendo boss Satoru Iwata dropped a couple more hints that should frustrate and intrigue in equal measure. As he'd previously stated, Iwata reiterated that the company won't talk more about the NX until 2016. He also said Nintendo "cannot talk about the time period when it [the NX] will go on sale or what it's like". 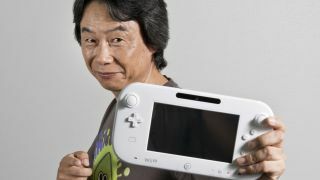 The next bit is slightly more interesting: "Because we are calling it a 'new concept', we are not thinking of this as a 'simple replacement' for the 3DS or the Wii U." It's frustratingly foggy, and don't expect to hear any more hints at E3 2015. Nintendo also won't be discussing its mobile games or quality of life platform there. So no NX, no QoL and no Zelda - what WILL we get? At this point it just has to be a new Metroid, right? What's going on with Zelda?